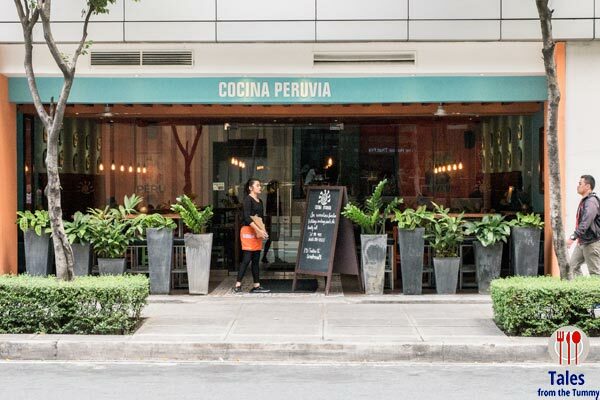 Cocina Perivia, located in the old space of Blenz Coffee in BGC, serves authentic Peruvian cuisine. We checked it out one Sunday after we tried to get a table at Genki Sushi and failed. This restaurant has been on my must try list ever since it opened last year. I love discovering different world cuisines, it’s not good to be so enamored with a single one lest you miss some gems along the way. 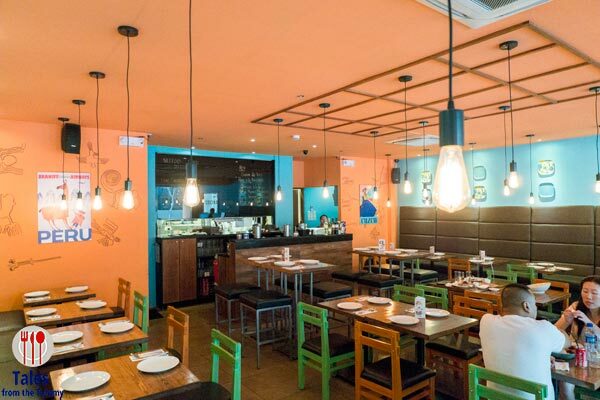 The interiors are a vibrant orange and green with plenty of Edison bulb drop lights. 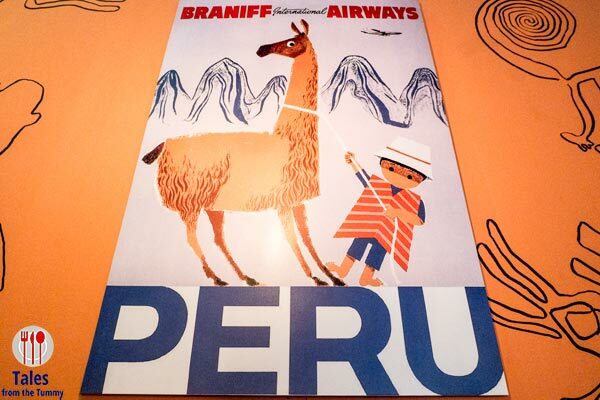 I loved this poster/mural on one of the walls. We started with a Ceviche Nikkei (P290). 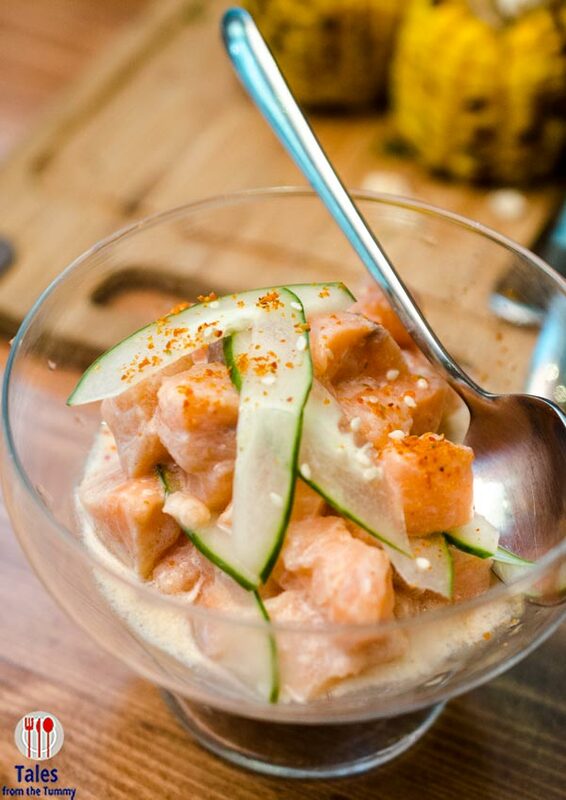 Cubes of salmon and jackfish, mixed with soy sauce, coconut milk and citrus juice. A different kind of ceviche or our local kinilaw. The coconut milk adds a light creaminess that coated the salmon beautifully. Sprinkling of chili flakes gives it a nice spicy kick but don’t be worried as it’s tempered by the coconut milk. Lomo Saltado (P450). Beef tenderloin slices with onions, tomatoes, fried potatoes and aji amarillo/yellow pepper. Flavorful beef that is still very tender, very good with rice but be sure to devour the potatoes, they sop up a lot of the juices. Adobo Peruvia (P400). The star of our meal at Cocina Peruvia, pork belly cooked in a coconut milk mixture with onions and tomatoes. This also went really well with rice to take advantage of the rich sauce. The flavor is both different yet familiar at the same time, sweet, smoky and creamy. 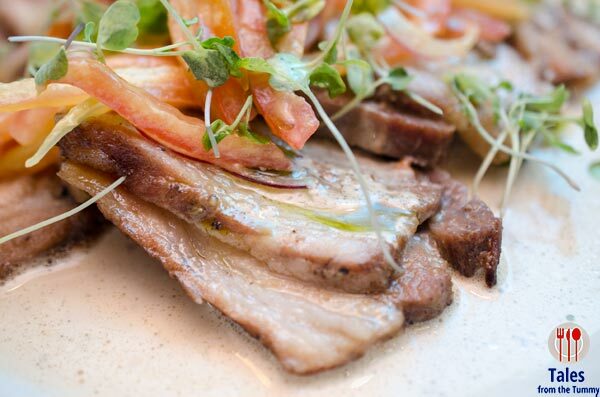 The little bit of fat from the pork belly also lends good flavor. Pollo a la Brasa (P400). Both of our main dishes were not something our discerning daughter would eat so we went with the roast chicken. 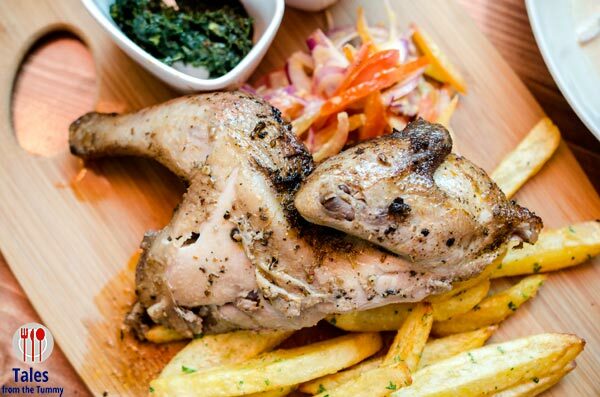 This served with chimichurri sauce, rough cut fries and corn. This passed with flying colors so I tried a bit, tasty meat that is still very juicy. 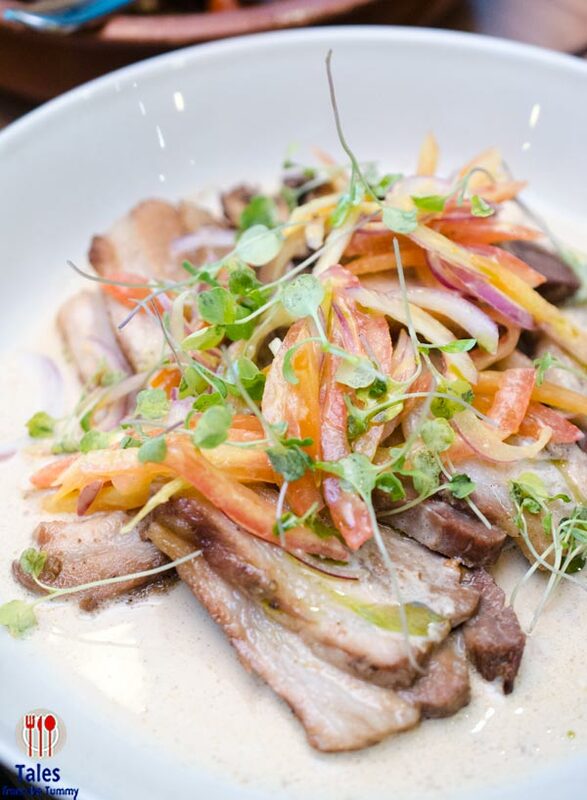 Our meal at Cocina Peruvia was enjoyable and we can’t wait to go back and sample more dishes and explore more of Peruvian cuisine. 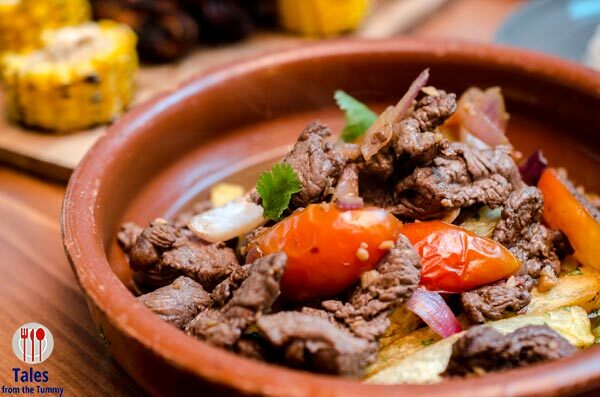 There’s lots of flavor similarities between Peruvian and Filipino cuisine as both were influenced by Spain and Asian countries so people should give it a try and surprise themselves.